My best advise is to label EVERYTHING with you name! Books, boardgames, CD's, BIG books, any thing that belongs to you personally. I attached some useful labels, simply change your name and their yours! I would print a few sheets of each and have them on hand in the classroom. You never know when you will get new books or supplies. Simply print and write your name! 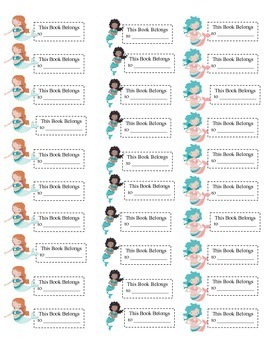 Contact me through my website to personalize your book labels for FREE!